Posted in Accidents by Mikhail Voytenko on Apr 16, 2013 at 12:18. 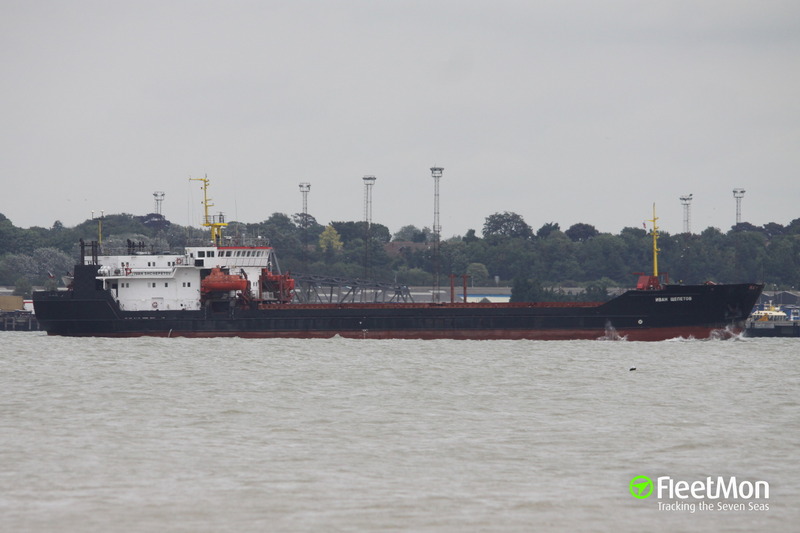 By 16.04.2013 05:00 Ivan Shchepetov was refloated by J.A. Rederiet's MPP Salvage Vessel Susanne A. Susanne A has for the 2nd time now in 2013, in 3 weeks, successfully refloated 2 Vessels, by modest pulls of ard. 100 tons. On 25.03.2013 M/V Jago outside Aeroeskoebing, and on 16.04.2013 M/V Ivan Shchepetov. Vessel's design allows pulling upto several times 100 tonnes, with short preparation time. MPP salvage vessel Susanne A, IMO 9099183, 348 gt, built 1969, flag Denmark.